Song samples can be heard below, with options to buy the full versions. Released in 2012 by EMR Music. Produced by Bud Spangler and Ellen Robinson. Berkeley, CA on 5/14/2011. Accompanying Ellen are: Murray Low (piano/keyboards), Sam Bevan (bass), Dan Foltz (drums), and Kristen Strom (soprano/tenor sax). 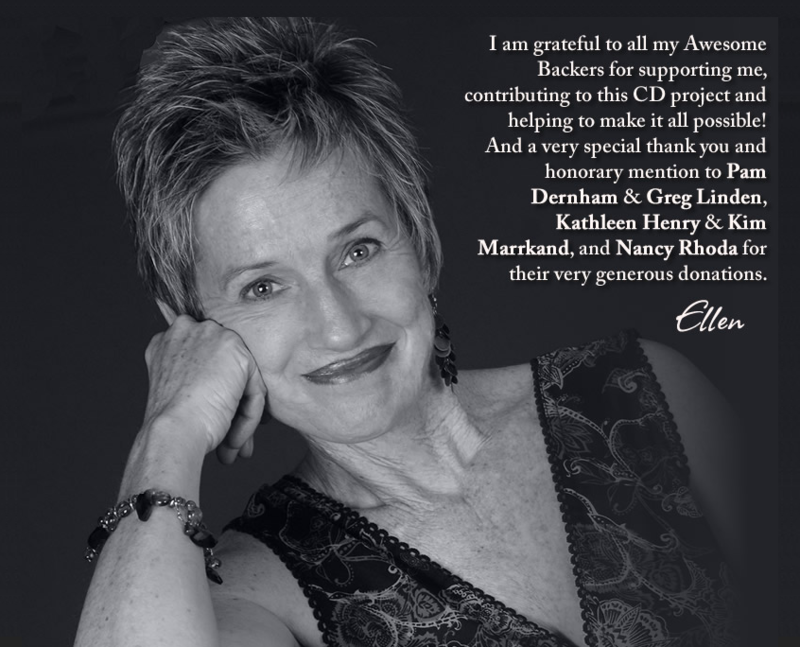 Ellen’s Kickstarter campaign has been a success. Released in 2006 by EMR Music. Produced by Ellen Robinson with Bud Spangler. Charles McNeal (soprano and tenor sax). Released in 2001 by EMR Music. Produced by Bud Spangler and Ellen Robinson.